Katie Strief is a 4th generation Texan, currently living in McKinney TX to be nearer her mom, sister, and friends. She grew up hunting and fishing, and has a love of the outdoors. Until recently, she and her husband, Paul, who passed away in October, 2016 from bladder cancer, lived on a ranch in Southeastern Oklahoma. 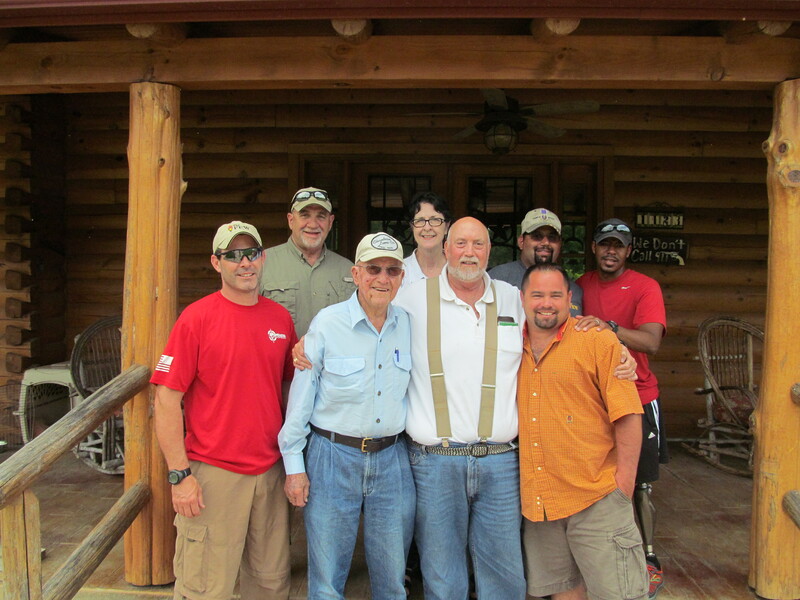 This property gave them the opportunity to “pass it forward,” as their fathers and uncles had done for them, and offer hunts and fishing trips for our Veterans. These hunts have turned into an extended family of men and women who have hunted at the ranch. And Katie is now “Momma Katie” to many. These Veterans mean the world to her. Although Dreamcatcher Ranch will not be available for future hunts, she plans to continue offering fishing trips on Lake Texoma and assisting with other area Veteran functions. In 2014, Paul came up with the idea for the Annual Veterans’ European Pheasant Hunt Event, so that more than 3-4 Veterans would have an outdoor adventure. This Event was developed with friends from High Brass Hunting Preserve in Grant, OK and continues every October for 20-24 Veterans and their spouses. Information for this Event can be found on the F.E.W. web site. Katie also enjoys helping others who might need assistance planning their own Veteran Event and encourages them to contact her.